TGIF! Before we let our hair down and chill out in a couple of hours time, let's talk about some taboo topic : MONEY! We all know that inflation is the main reason why our MONEY shrank in value by days. That's also the reason why we are prepared to take a bit of the risk to invest in stocks or any other instruments, with the aim to yield a returns that's higher than the inflation rate. 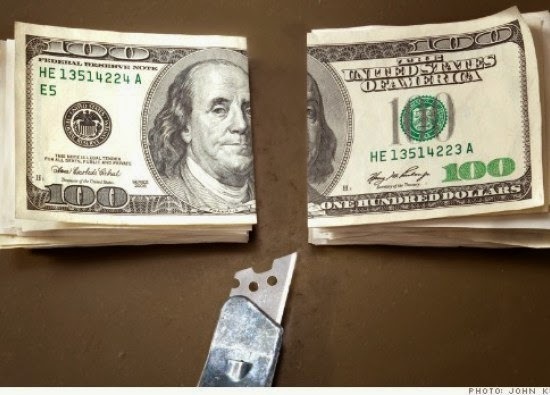 Minimally, to preserve the value of our money for as long as possible. To look at the impact of the inflation from a layman perspective, it is easier to dissect it at the place that hit us most i.e. the expenses. Recently, I chanced upon an infographic from fivestarsandamoon.com depicting the effect vividly. So what can you deduce from the above infographic? 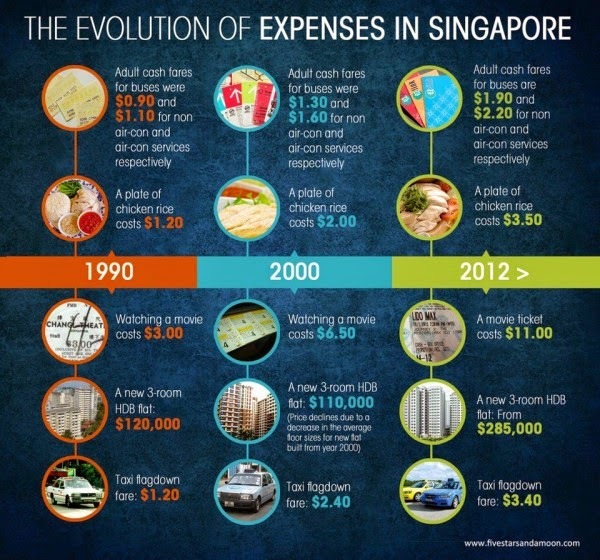 On average, the expenses will increase by almost 100% for every 10 years! (except for some controlled items). To be fair, except for housing prices, the annual inflation rate for all the other items are below 5% from 2000 to 2012. Got salary adjustment. Not so scary. My 15HWW : luckily the other more important expenses like daily out daily bread and butter are controlled price, so not so xiong.. The rest probably around 4%-5%. While i like to say there is large elements of developing nation growth during the 1990s which may skew the numbers a little i could not see clear evidence of examples here. nice work. Hope we can see more investigation. Once thing is we may need to add more buffer to our retirement package size if indeed is true. Great infographic, will be sharing the link to others!